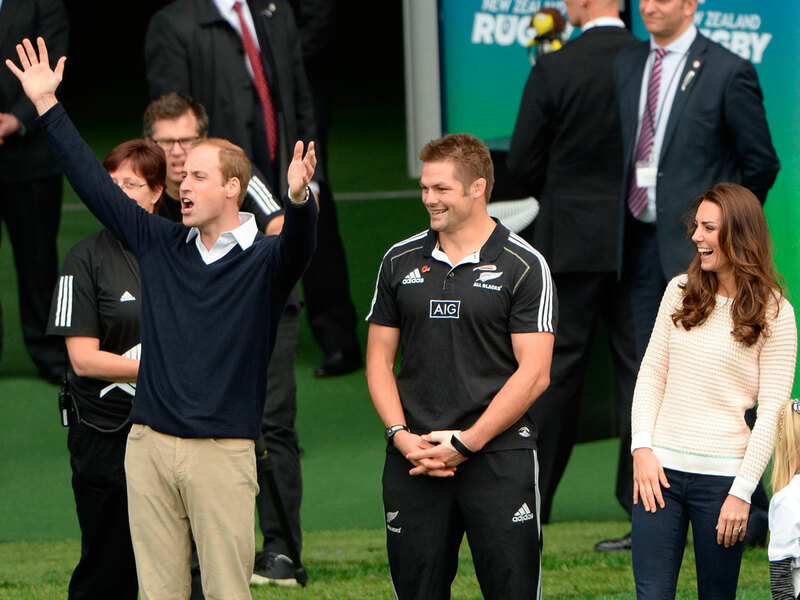 The Duke and Duchess of Cambridge had a super-sporty weekend as they continued their royal tour of New Zealand. Kate Middleton and Prince William got up to all sorts this weekend. While you were probably relaxing with a glass of wine in your sunny garden (wasn’t it glorious, btw? 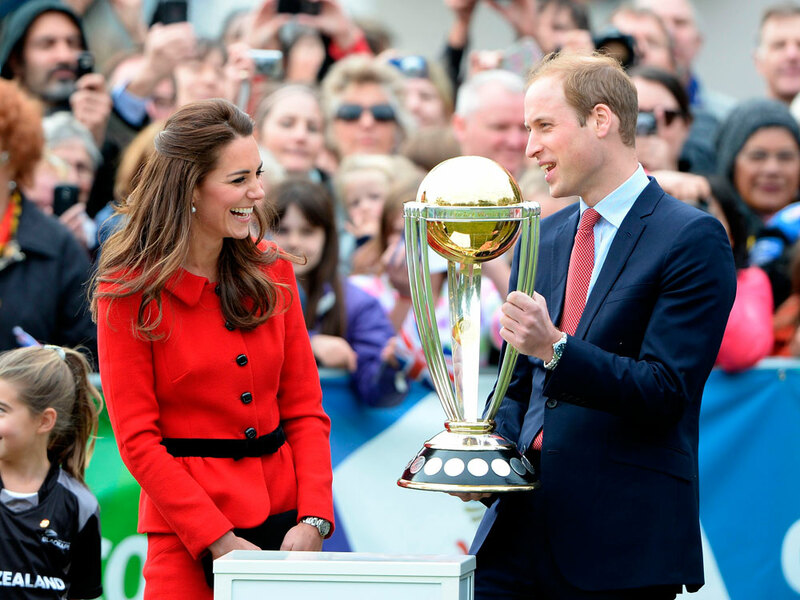 ), the Duke and Duchess of Cambridge played cricket, enjoyed a spot of wine tasting, went sailing, strolled around a botanical gardens and bombed down the Shotover River in a jet boat. Crikey. In Christchurch, Kate showed off her sporting prowess by playing cricket in three-inch heels (our hats go off to K-Midd again for this feat) and a red peplum Luisa Spagnoli suit that she’s worn several times before. On Sunday, Wills and Kate also enjoyed a white knuckle ride down the Shotover River on the Shotover Jet which, apparently, is the ‘world’s most exciting jet boat ride’. What fun. Before that the pair had a wine tasting session at the Amisfield Vineyard (Kate was wearing her navy double-breasted Zara blazer, FYI). During the visit Kate also revealed that she ‘was really enjoying being able to drink again after having baby George.’ We hear that, K-Midd. For a visit to the All Blacks rugby stadium, where the pair tried their hand at some coaching, Kate wore a cream knitted Jonathan Saunders jumper, skinny jeans and a pair of Mint Velvet grey suede sneakers. Tomorrow, Kate and Wills will have time to recover with a private day in Wellington before travelling to Sydney on Wednesday. Sounds like they could probably do with a nap and a strong cup of tea.